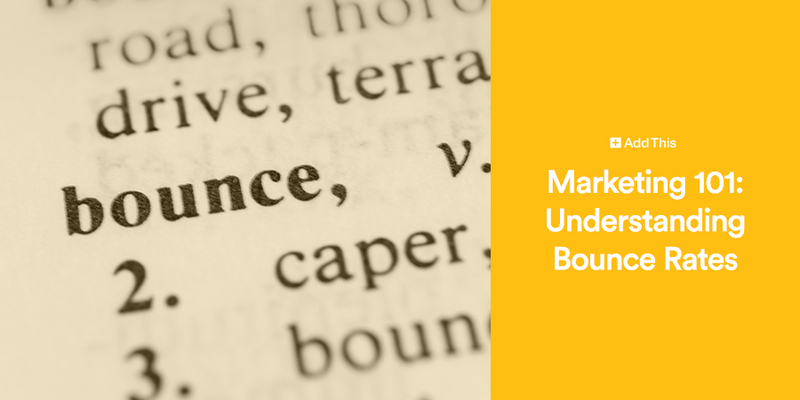 For more information about bounce rates, read 10 Ways to Lower Your Bounce Rates. Does nothing for a while (e.g., Google Analytics uses a default “session timeout” duration of 30 minutes). “Exit rate” is sometimes confused with “bounce rate,” although there is a significant difference between the two: “exit rate” refers to the percentage of visitors who leave a site from a particular page after visiting multiple pages. This post discusses only bounce rate, which indicates the percentage of visitors who view only one page during a single visit. Bounce rate is considered a key performance indicator of a website, because it is an important signal regarding how successfully the site immediately engages visitors. You’re trying to get visitors to your site by investing in efforts such as SEO, link building and perhaps paid advertising – if they are coming and immediately leaving, your investment is wasted! And if that’s not enough, a high bounce rate might be hurting your search engine rankings: when most users click a particular link and quickly click Back in their browser, returning to the search engine results page, the search engine knows that users didn’t find what they were looking for on that page. Thus, the search engine may demote that page in its search results in favor of other search results from which users don’t return quickly – or at all. What is Considered a High Bounce Rate? There is no definitive answer to the question of how high of a bounce rate is too high. It depends on many factors, such as what kind of site it is and how visitors are arriving there. Conventional wisdom holds that an overall average is 40-45% (Google states 40%), meaning that if your bounce rate is already in the 30-40% range (or better), you’re going to aim for smaller wins. If your bounce rate is in the 50-70% range, chances are that you can do better – these tips will help. If it’s over 70%, then you probably have a lot of work ahead of you. Note that the above ranges are overall averages. Certain types of sites will exhibit very different ranges. For example, highly-targeted sites that cater to very specific audiences might consider a bounce rate higher than 25% problematic. On the other hand, educational/blog/content pages that come up in search engines for a very wide range of keywords might consider a bounce rate of 60-70% perfectly acceptable. An extreme example: some stand-alone landing pages with a single call-to-action can expect to see bounce rates in excess of 90% without being a cause for concern. Your site does not provide the content or experience that your visitors expect. You are attracting the wrong visitors to your site. Sometimes these are actually two sides of the same coin. Think about it like this: if you’re convinced that your content/offering and presentation are top-notch, then you need to focus your online marketing efforts on bringing those visitors who will appreciate what you have to say/sell. Just one example: if you are a local business that is only relevant to people in your area, then you might need to add location keywords to your SEO and paid advertising efforts to increase the percentage of arriving visitors for whom your offering is relevant. On the other hand, if you’re convinced that you’re already bringing the right people to the site, then you need to work on improving your site’s entry pages (the webpages on which visitors land when coming from search engines or other sites) to make them more relevant and/or engaging. To start taking action in regards to your bounce rates, read on with 10 Ways to Lower Your Bounce Rates.